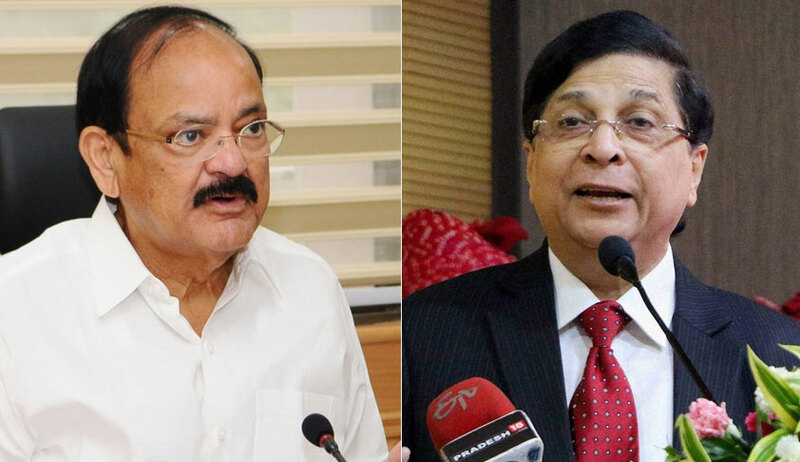 After rejection of their impeachment motion against Chief Justice of India Dipak Misra by Vice President of India Mr. Venkaiah Naidu, two Members of Parliament (MPs) have now approached the Supreme Court demanding a direction to the Rajya Sabha Chairman to constitute a Committee for investigating into the allegations against the CJI. Finally, the bench, also comprising Justice Sanjay Kishan Kaul, directed the counsel to appear before itself at 10:30 AM on Tuesday. The Petition, filed by Mr. Partap Singh Bajwa and Mr. Harshadray Yajnik, asserts that the rejection of the motion is "ex facie illegal, arbitrary and violative of Article 14", and demands that the order be quashed.